Mon-Fri 10-19, Sat 11-18, Sundays closed. 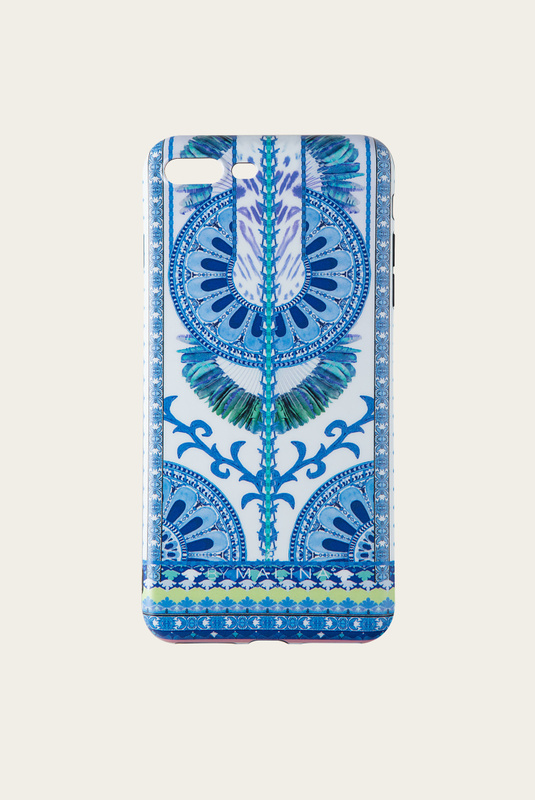 This printed phone case lends a refined look to your tech. Soft shell phone case wraps around edges to protect from bumps and scratches while showing off a matte finish. Print/colour may vary. For By Malina Bridal pieces - other requirements than below, please read more here. Pick up in our Stockholm Flagship Store within 1-3 business days. At you nearest DHL or PostNord service point within 2-4 business days. With DHL Paket (Sweden) or DHL Express (Worldwide) within 2-6 business days. All exchanges and returns must be made within 14 days after you received your order. This applies on all returns worldwide. For returns within Sweden, please use the pre-printed and pre-paid return waybill and drop it off at the same pickup point as you collected the package. For international returns, please read more here. Free of charges within Sweden. For international customers please read more here regarding return fees. Our-in house PR service will help you with press loans, packshots, campaign- and product pictures. Discover the world of By Malina - sign up for our newsletter & get 10% off your first order. Special offers, inspiration & exciting announcements - join us now. You have signed up for the newsletter. Use the code to enjoy 10% off.